I first visited The Grain Store in my first year of uni, God time flies. We returned after staying at an apartment the night before because it was within walking distance, and the sophisticated ambience was just as I remembered. The one page menu covered all your basic staples, as well as some more adventurous combinations, and it took me a good ten minutes to decide what to order. 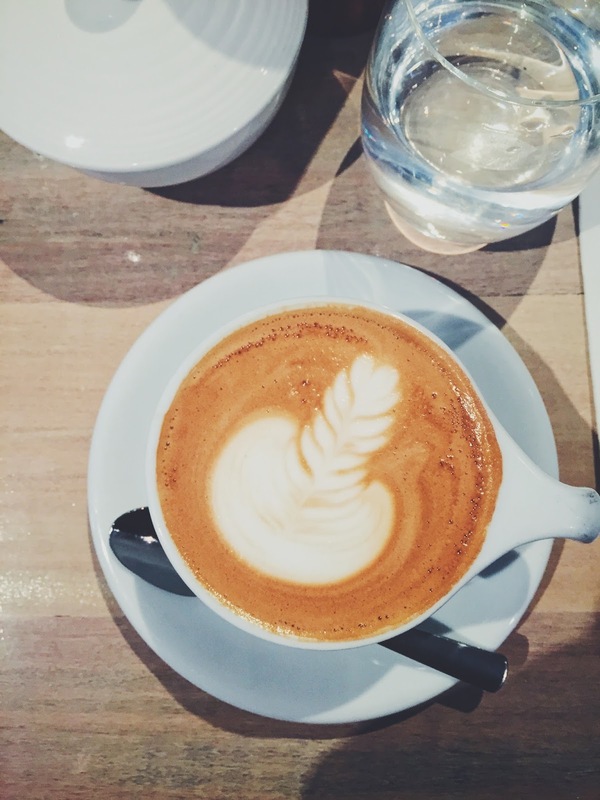 Ordering the Skinny Flat White was a no-brainer though, and I definitely needed some coffee. The coffee was smooth and acidic, and went down a treat. I love the cups they use too, it really goes well with the understated vibe of the cafe. After the night we had, my body needed something more than just an eggs benedict, and the Chilli and Fennel Sausage, Fried Onion Rings was just what the doctor ordered. The classic combination of pork and fennel worked phenomenally, however, I wish there was a bit more of a chilli kick to the sausage. Nevertheless, it was still delicious, especially when eaten with the pear chutney, lending it some sweetness. The onion rings were fried to perfection, with an airy light and crispy batter. The carb of choice was pearl lentils, and when mixed with the creamy egg yolk, it was perfection. Although there was certainly a lot going on in the dish, all the elements complimented each other, and this is definitely on the heavier side of things for brunch. 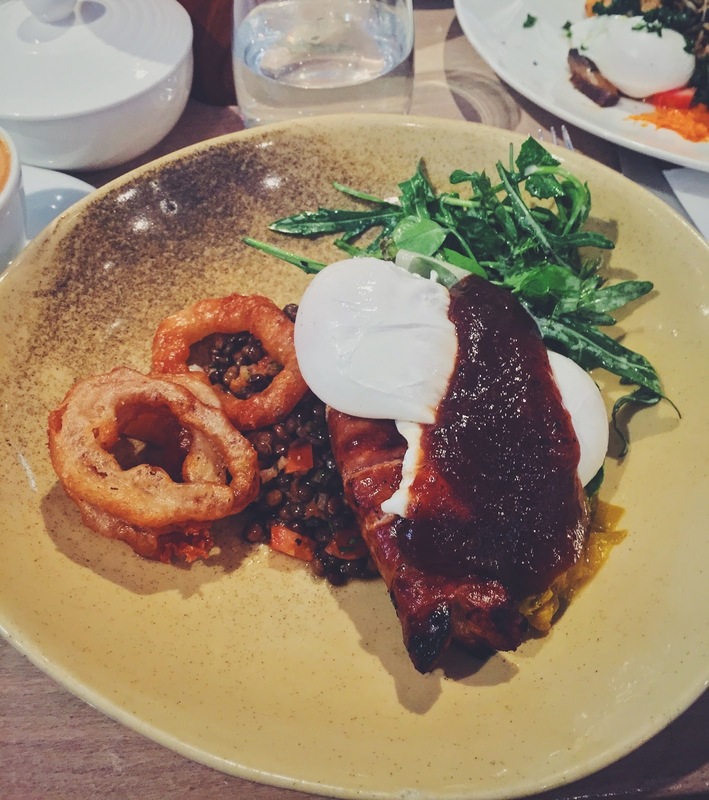 The Grain Store stands out from the plethora of brunch places in the CBD area, or just in all of Melbourne, by having a somewhat classier interior, along with great service – they top up your water constantly. Along with an interesting menu and display of baked goods, it’s definitely somewhere I’ll happily return to. 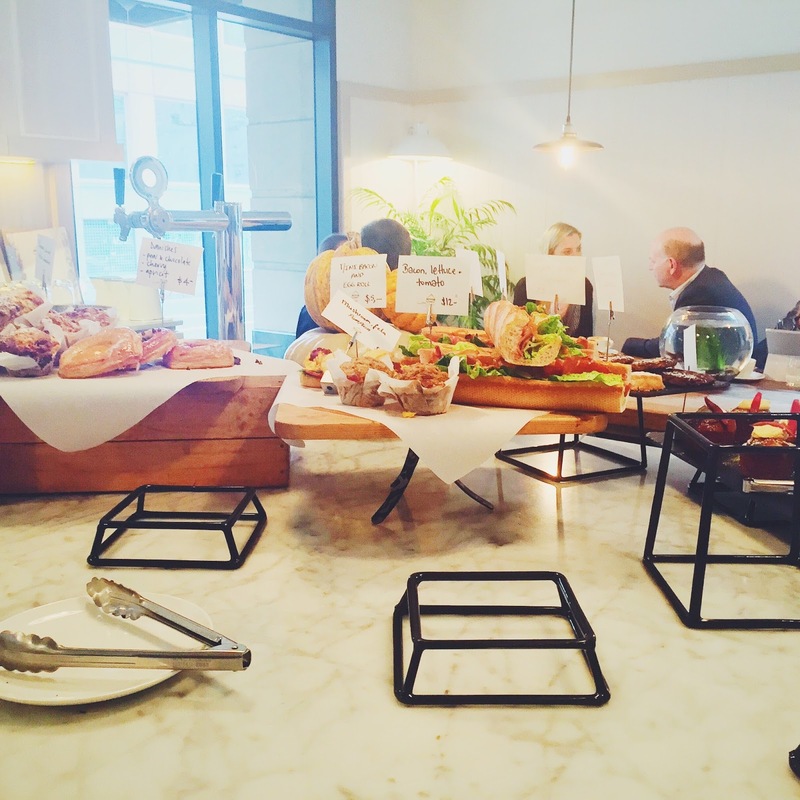 The Grain Store is located on Flinders Lane, a ten minutes walk away from Flinders Street Station.